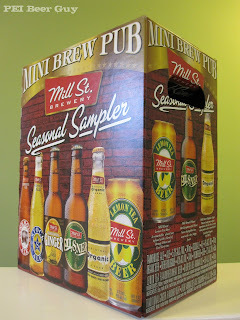 While doing a random check of our province's beer listings a day or so ago, I was surprised and pleased to see that they were carrying Mill Street's Seasonal Sampler. 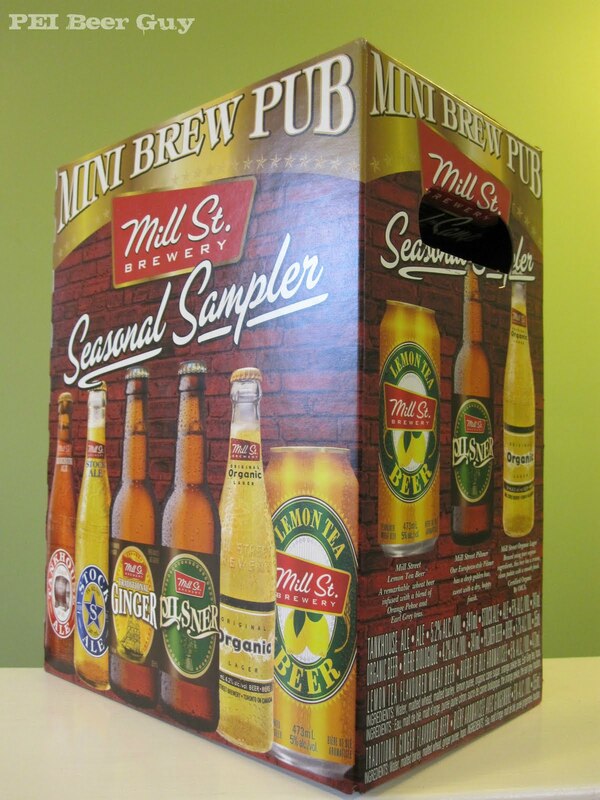 Billed on the box as a "Mini Brew Pub" (great concept), it's essentially a six-pack of six different beers: their Tankhouse Ale, Stock Ale, Organic Lager, Pilsner, the new Traditional Ginger Beer, as well as a 473 ml can of their Lemon Tea Ale. At $13.99, it's a great opportunity for Islanders to try six different beers at a low price. When I went into an LCC store yesterday, there were none left on the shelf, but after an ask and a search, a box was found for me. The box doesn't contain world-changing top-ranked brews, but you should find it a slightly interesting, easy-drinking, refreshing pack of pretty solid beers for these hot (well, some of them, anyway, in between the thunderstorms) summer days. Support the import of variety to our stores!